Simon Berger has developped a simple graphical tree comparison tool that highlights differences between up to four trees by highlighting the branches (bipartitions/splits) that are not shared among those trees. 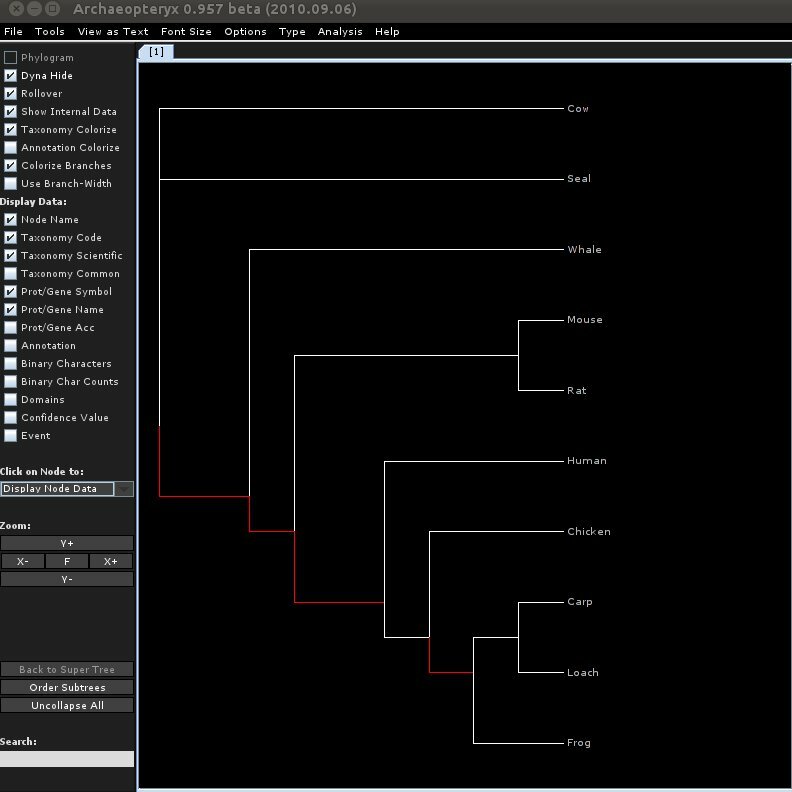 run it on the command line and output a phyloxml file that can be viewed with any compatible tree viewer: "java -jar vtd.jar tree1 tree2 > out.xml"
run on the command line and start the archeopteryx tree viewer to view the differences between tree1 and tree2: "java -jar vtd.jar tree1 tree2 -v"
In the default mode (when two trees are supplied) branches that occur (are shared) in both trees are colored white, missing branches are red. If you open more than two trees, the tool will do a multi tree comparison (this works for up to 4 tree files). In this mode the first tree will be compared to the remaining trees. The branch coloring is then based on rgb color mixing: If a branch exists in trees 1 and 2 it is colored red. If it exists in trees 1 and 3/4 it will be green/blue. If a branch exists in more than two trees the colors are mixed (red+green=yellow, red+green+blue=white and so on...).